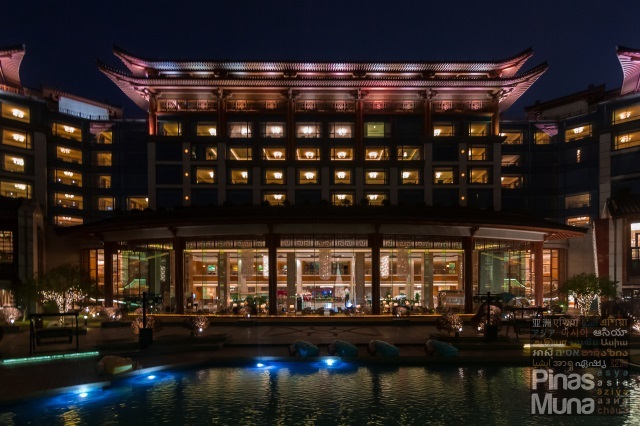 Shangri-La Hotel Guilin (桂林香格里拉大酒店) is a luxury hotel located in the city of Guilin, a popular holiday destination in China's Guangxi Zhuang Autonomous Region. 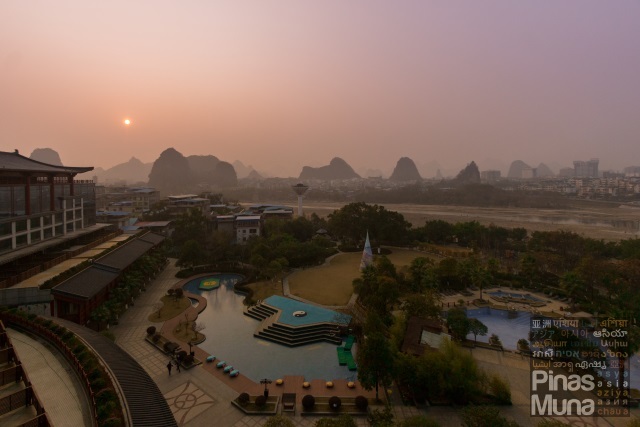 The hotel is set next to the Li River and surrounded by Guilin's famous karst mountains. The hotel caters primarily to local and international tourists. 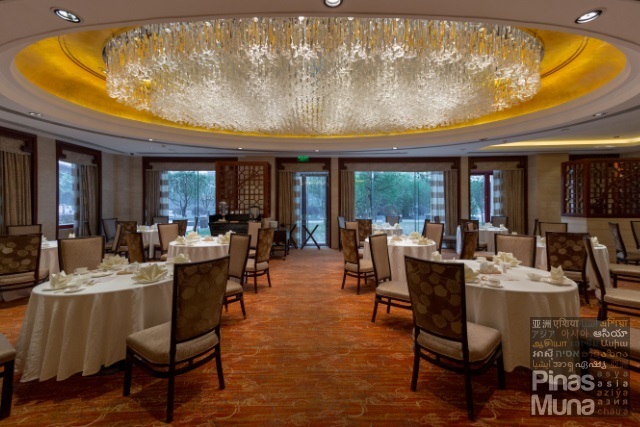 With some of the biggest meeting and event spaces in Guilin, Shangri-La Hotel Guilin also makes for an ideal accommodation for business travelers. 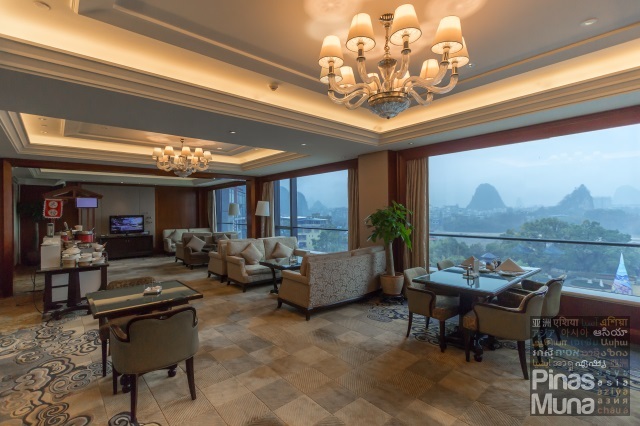 Shangri-La Hotel Guilin is centrally located in downtown Guilin near some of the most famous natural and historical attractions of the city. The commercial and retail center of the city is just a short taxi ride away. The hotel is easily accessible from the Guilin North Railway Station (桂林北站 / Guìlín Běi Zhàn) by taxi. 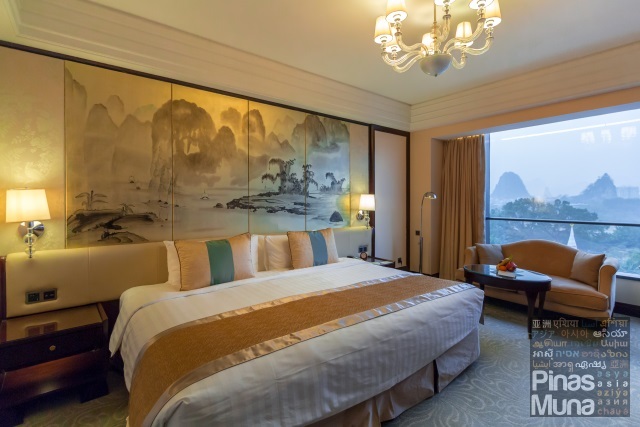 The Deluxe Room is the lead-in guestroom category of Shangri-La Hotel Guilin with the Deluxe River View Room facing the Li River and Guilin's famous karst mountains as background. The room measures 42 square meters, the biggest guestroom of the same category in Guilin. The room is furnished with a comfortable bed, an executive desk, and a feature wall made of a silk painting of the karst mountains. 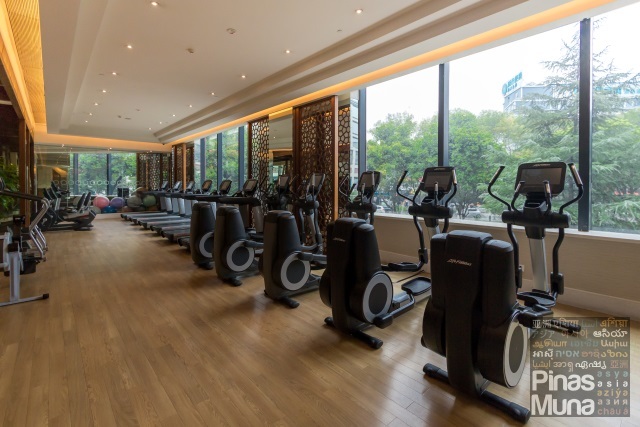 Guests who wish to keep fit during their holidays in Guilin can take advantage of their complimentary access to the hotel's Health Club. The facilities include a fitness gym which is equipped with some of the latest exercise machines. The gym is open daily from 6:00am to 11:00pm. 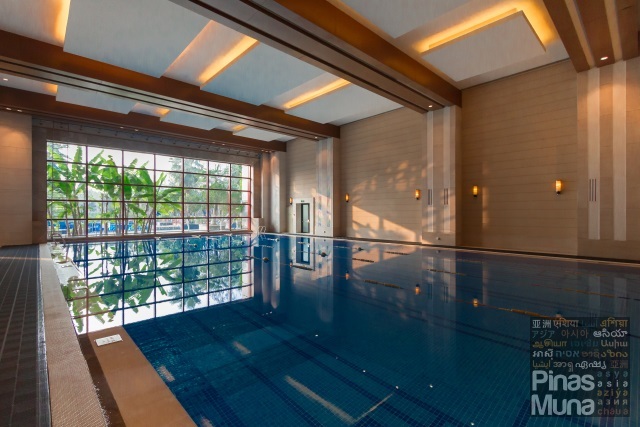 Attached to the Health Club is the hotel's indoor heated swimming pool which is open daily from 6:00am to 11:00pm. The hotel also has an outdoor swimming which is only open during the summer months of May to September. During the cold months of October to April,guests can enjoy the indoor heated swimming pool. After a tiring day of exploring the sites of Guilin and nearby towns, guests can indulge with one of the rejuvenating facial and massage treatments at The Spa. Guest can choose among Asian massages and Western body treatments. Single and Couple treatment rooms are available. Prior appointment is recommended. The Spa is open daily from 1:00pm to 11:00pm. 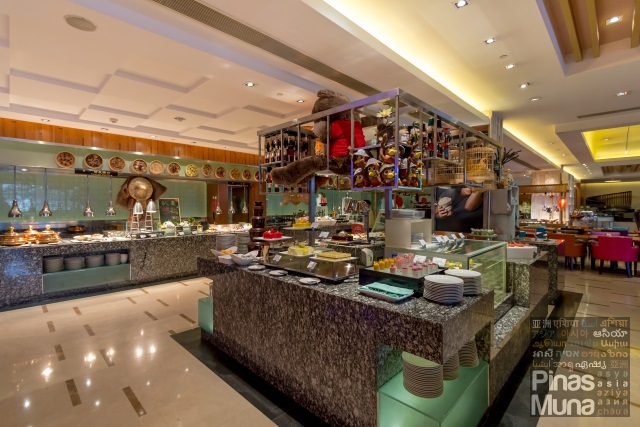 Shangri-La Hotel Guilin is kids-friendly hotel which offers plenty of facilities and activities which children of all ages can enjoy. 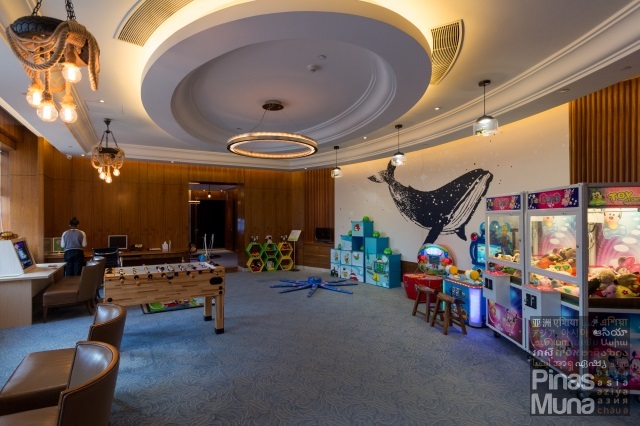 Located on the ground floor of the hotel is the Kid's Club, an indoor play center where kids can interact with each other through fun games and supervised activities. Located on the second floor of the hotel is the Game Lounge which houses a number of interactive games as well as video gaming consoles. 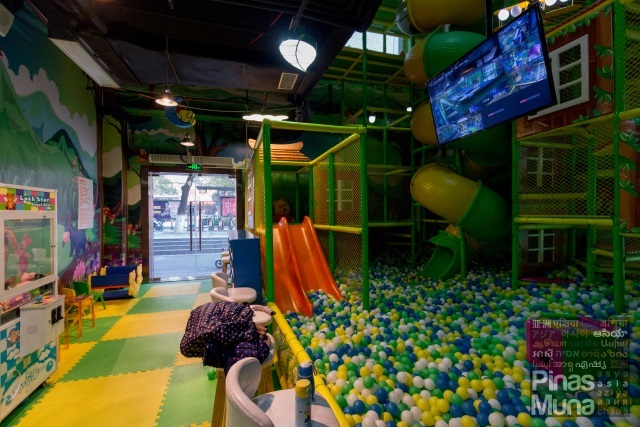 Children and parents can spend quality time by playing their favorite arcade and PS4 games. Go on a throwback with the Family computer games. There's even a toy grabber machine game. 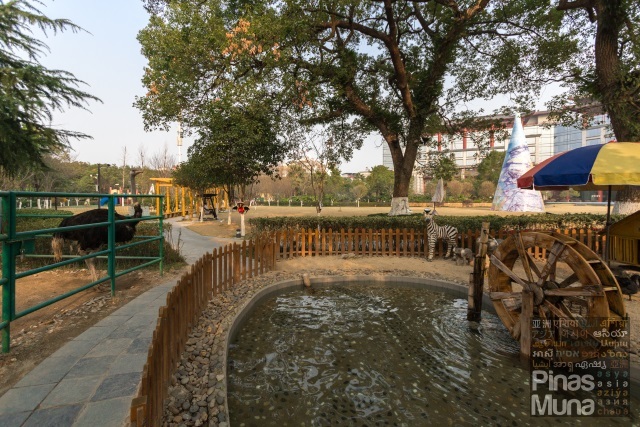 One of the latest additions in the recreation activities which guests can enjoy at Shangri-La Hotel Guilin is the Mini Zoo. A portion of the hotel's lawn has been converted into a zoo to house local and exotic animals such as ducks, farm pigs, chickens, rabbits, ostriches and peacocks. 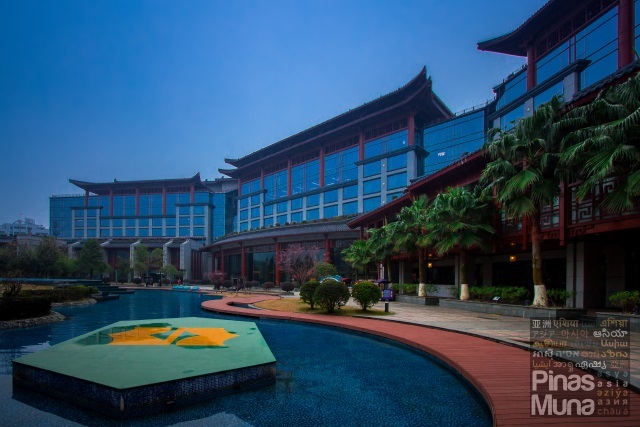 Shangri-La Hotel Guilin is centrally located in the downtown area of Guilin and is easily accessible by public transportation. 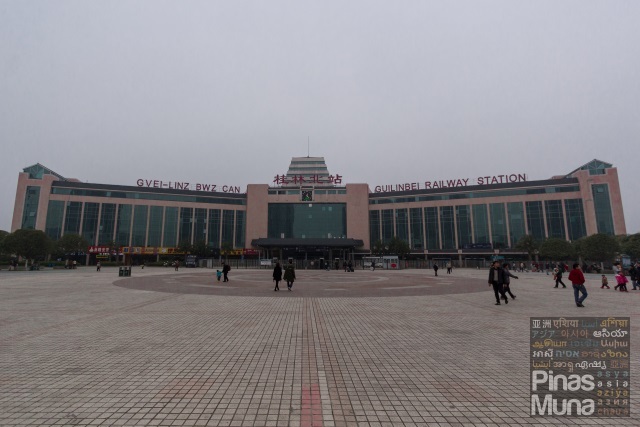 The main gateways of Guilin are the Guilin Liangjiang International Airport (桂林两江国际机场 / Guìlín Liǎngjiāng Guójì Jīchǎng) and the Guilin North Railway Station (桂林北站 / Guìlín Běi Zhàn). Getting Around - the fastest and most convenient way to get around Guilin is by taxi. From the hotel, just approach concierge and tell them where you wish to go and they will get a taxi for you. They will make sure that the driver understood where to drop you off. Taxi rides can range from CNY 20.00 to 40.00 for short distance trips within the downtown area. Guilin is a popular holiday destination in China and majority of the tourists are from within Mainland China. Signages are available in Chinese and English, however very few locals speak English so it is advisable to plan your itinerary in advance. 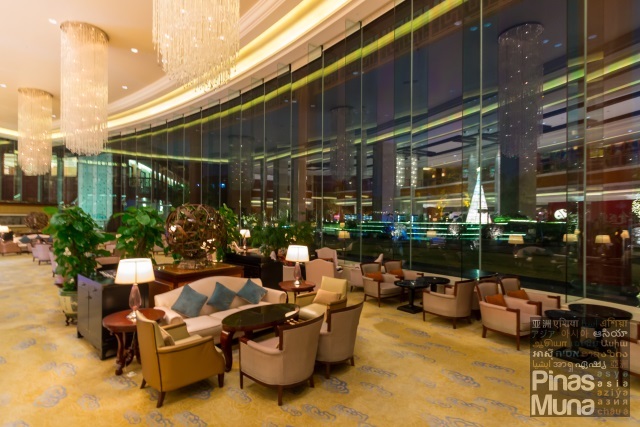 Shangri-La Hotel Guilin is strategically located in the downtown area near some of the popular attractions in Guilin. Walking Tour of Guilin - from the hotel, you can take a taxi to Jingjiang Princes' Palace (靖江王府 / Jìngjiāng Wángfǔ) which was built in late 1300s. The walled building complex served as the residence of kings of the Ming dynasty. You can then walk south to the East-West Lane (东西巷 / Dōngxī Xiàng) where you can find restored old houses during the Ming and Qing dynasties. You can also find here the Xiaoyao Tower (逍遥楼 Xiāoyáo Lóu) which served as the East gate of the wall city during the Tang dynasty. Walk further south through the Zhengyang Road Pedestrian Street (正阳路步行街 / Zhèng Yáng Lù Bùxíngjiē) which is lined with old buildings in traditional Chinese style. Towards the end of Zhengyang Road Pedestrian Street is Shanhu Lake (山湖 / Shān Hú) where you can find the Sun and Moon Pagodas (太阳和月亮宝塔 / Tàiyáng hé Yuèliàng Bǎotǎ) which are two of the most famous landmarks of Guilin. 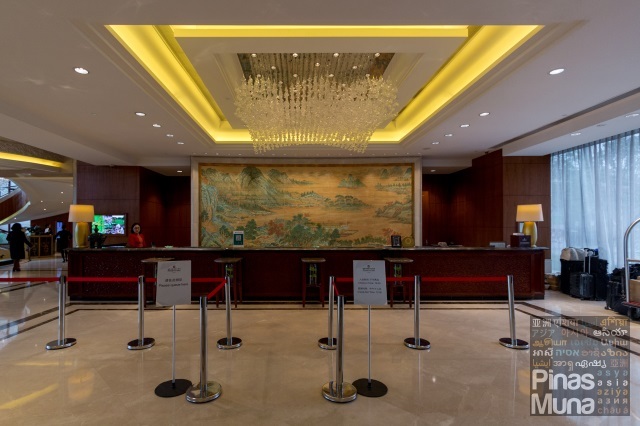 Guided Tours - Shangri-La Hotel Guilin has a travel desk located at the lobby which can arrange city tours for you. 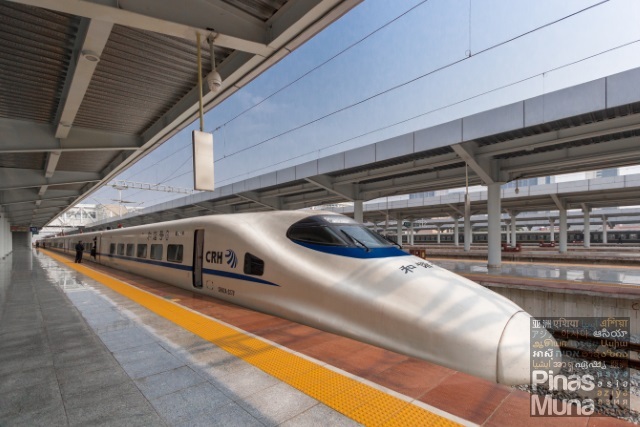 Destinations include various attractions around Guilin city as well as attractions in nearby towns such as the Daxu Ancient Town (大圩古镇 / Dà Wéi Gǔzhèn) and the Longsheng Rice Terraces (龙胜梯田 / Lóngshèng Tītián) the . 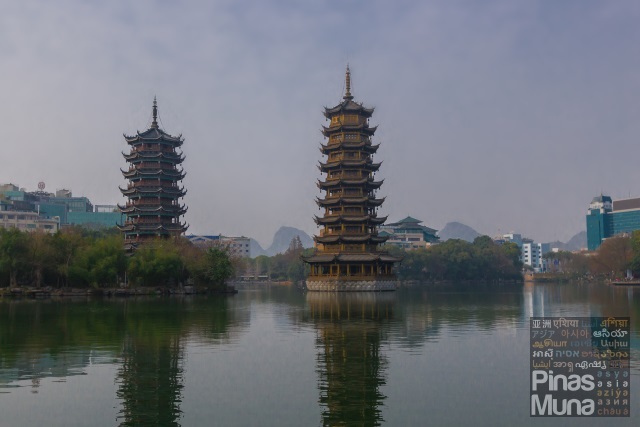 Guilin-Yangshuo Li River Cruise - one of the highlights of your visit to Guilin is the river cruise which spans an 80km stretch of the Li River. On a beautiful sunny day, guests can enjoy the serene landscape of Guilin with the famous kart mountains dominating the scenery. The 4.5 hours river cruise will pass through some of Guilin's most recognizable landmarks, rock formations, as well as quaint villages. The tour ends in Yangshou which is said to be one of the most beautiful counties in China. You can book your river cruise at the travel desk of Shangri-La Hotel Guilin. 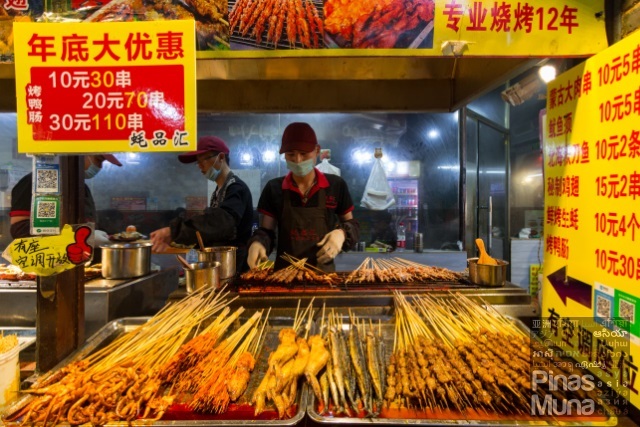 East-West Lane (东西巷 / Dōngxī Xiàng) - this is the best place to sample local and regional street food in Guilin. Just a 10 minute taxi ride away from Shangri-La Hotel Guilin, East-West Lane features restored heriated houses which have been adaptively reused as hole in the wall restaurants. Must-try are the barbecue stalls which offers a variety of grilled seafood and meats. 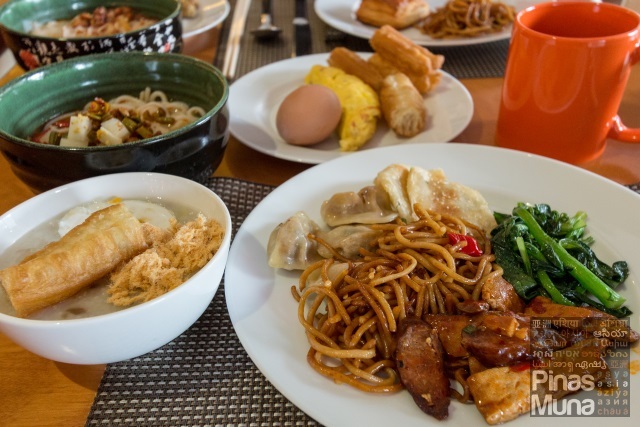 You should also try the famous Guilin Rice Noodles, as well as the black stinky tofu which is a specialty from Changsha, Hunan. There are also a couple of bubble tea shops in the area. Zhengyang Road Pedestrian Street (正阳路步行街 / Zhèng Yáng Lù Bùxíngjiē) - If you are looking for clothes at bargain prices, the Zhengyang Road Pedestrian Street is the place for you. The street is lined by countless boutique shops selling clothes and shoes at very affordable prices. There are also stored selling souvenir items ranging from local pastries, teas, jewelries, accessories, and other memorabilia. A number of restaurants and food stalls are also found here. Don't forget to provide your Golden Circle (GC) Membership Number when making your room reservation, upon check-in or upon payment in order to earn GC Award Points. You can then redeem these GC Award Points to pay, in full or in part, your future dining bills at any participating Shangri-La restaurants around the world. If you're not yet a Golden Circle member, you can join here for free. Earn 1 GC Award Point for each USD 1 qualifying spend when dining at over 500 participating restaurants & bars worldwide. GC Award Points will be credited to a you account two weeks after the date of transaction. Earn 1 GC Award Point for each USD 1 qualifying spend when staying at Shangri-La, Kerry Hotel, Traders Hotel or Hotel Jen. Redeem your points instantly at our restaurants & bars with 10 GC Award Points covering every USD 1 of your dining bill. You may also choose to redeem your points for dining vouchers online. Redeem free room nights at any Shangri-La hotel, resort, Kerry hotel, Traders hotel or Hotel Jen worldwide. Redeem spa vouchers at CHI, The Spa, exquisite fine wines, and signature "Shangri-La" fragrance.